John Davis is a big man in my life. I am not sure he ever retired as such, but in his nineties he writes me letters from the South Coast of England with his plans and analysis – all in line with work he started with Fritz Schumacher, the author of Small is Beautiful, in the 1970s. John was Chair of the New Economics Foundation, and a wonderful guide, when I worked there in the 1990s. John’s latest letter to me was prompted by the partnership and programme we have started on community economic development, working with support from the Department for Communities and Local Government. One way to start, he suggests, is to “make wealth from waste” in domestic energy by reducing its cost for all. The advantage of this is that it doesn’t require investment or a change of habits. “It simply requires central heating thermostats to be set at 12 degrees C instead of the higher, comfortable level, by having the higher level only in rooms when occupied using a top-up source heater.” He calls this ‘rational central heating use’. Domestic energy is a major part of the nation’s total building energy consumption, accounting for 40% of inland UK energy consumption and CO2 emissions. To move towards zero emissions by 2050, to meet the overall 80% CO2 reductions needed, “there will need to be community energy service supply co-operatives that can ensure that every property is fully insulated, double glazed and operating rationally on natural gas or solar voltaic cells; and purchasing energy wholesale from suppliers to be shared between householders at lower annual costs because of the savings made. In John’s area of Purbeck, for an average family in rented accommodation, 44% of their income goes on rent, in an area that has incomes 20% below the national average. “A self-build housing co-operative is needed to help make housing affordable”, by replacing high construction costs and speculative market prices for houses and flats with low cost technology and shared ownership of land. To make wealth from waste in food, he recommends food delivery co-ops, to cut the waste of delivery systems for supermarkets, sourcing locally where possible. In transport, what is needed are co-operative car clubs, using reconditioned cars – making wealth from the waste of scrapped cars, which he estimated to be at the level of around 1,000 for a community of 60,000. Cars are the largest single item of waste people own that can be turned into wealth. His estimate is that up to 75% of the original sale value can be recovered through reconditioning – a process that is labour intensive so that the wealth is in part circulated through wages. John recognises the need for these to go hand in hand with system changes – including for him, a dual currency system separating out the production and use of local essentials and national currencies for non-essentials. But what he explores is not a policy agenda but a mindset change, that what we thought was waste could turn out to be tomorrow’s wealth. And conversely, that in a carbon constrained future with the imperative to meet basic needs for all, what is wealth today could be seen tomorrow, as no more than waste. Dust to dust, ashes to ashes, we know that circle. Perhaps, in our generation or the next, we can create a new story and a new circle, from waste to wealth. The Co-operative Bank announced its results this week, with a further spread of red ink since its troubles began in May 2013. It is the right time perhaps to reflect on what next for ethics and co-operative banking. For anyone who wants to know more about the state of the Bank, there is an investor presentation which tells the story. Put simply, the original plan was to trade out of the troubles back into full health. That has not been possible in current market conditions, despite plenty of hard work and practical achievements. The losses are exceptional – bad loans for example from the past that tend to go bad as they mature – and should be non-recurring costs. But the bank is not covering its operating costs in the current market conditions of interest rates lower for longer, even though those costs have come down, and that can never be a permanent state of affairs. And the bank has to operate with a sufficient capital cushion to satisfy the regulators, who, even if what happens to the bank is not classed as a systemic risk, will be watching like a hawk. So, we are into Plan C now. The announcement last month of a search for a new buyer, or new capital, means that the next period will be one of flux for the bank. ‘What do I do as a customer?’, asked a friend yesterday evening (I think I encouraged her into the Bank in the first place many moons ago). Of course, consumer protection in banking gives a guarantee of safety. Plus, the ethics are also strong and that remains a distinctive offer in a pretty despised banking market overall. Of course, with values, no-one is perfect. You can choose whatever yardstick you like personally, or as a campaign group, to run the rule, but the Co-operative Bank is different. Its ethics are enshrined in the articles and the priorities are those chosen by the customers: that’s pretty much as democratic as you get. The Bank is also engaging proactively with the rest of the co-operative sector, in particular supporting the cost effective but high impact programme of co-op business support, The Hive, run by Co-operatives UK. We have an agreed voluntary programme of compliance around the use of the word co-operative, in line with criteria that we drew up with the International Co-operative Alliance and in consultation with our members. One option as a customer is to join the Customer Union formed by the Save our Bank campaign – or just link to it on Facebook. Customers who care what happens can then act together rather than individually. The investor presentation by the Co-operative Bank CEO Liam Coleman makes it clear how critical it has been to the survival of the bank that it has remained and indeed strengthened its ethics (health warnings of course – nothing is perfect) and the customer base of around four million people has stayed loyal. One day, that may be a Business School case study for ethical business, but for now that means that the ability of customers to come together and act together is critical for what happens next to the bank. Whether the suits in the Bank of England or potential buyers or investors appreciate that will be the flip side of this – this could yet turn from a survival epic into an unqualified tragedy. And when we look at what is happening to co-operative banks worldwide, this is the story in every case. If you are owned by your customers, then your customers will tend to keep you on track, whether in terms of integrity or when things go wrong. In Japan, the Norinchukin Bank made losses that were exposed during the 2008 banking crisis, having purchased worthless US securities at a time when the rating agencies were saying these were triple A secure. The bank turned to its members, who are farmers, to return it to solvency. The financial gap was around $900m, and the members made up the loss. There are over four thousand co-operative banks in Europe. A recent study led by the distinguished Professor Hans Groeneveld at the Tilburg University looked at sixteen co-operative banks across around a dozen countries in Europe and North America. The total membership is on the rise, with around sixty million consumer owners. Since 1996, the ratio of co-operative bank members to the population at large has risen from 14 to nearly 19, so that one in five adults in those countries are member owners of a co-operative bank. Since 1997, their market share of deposits and loans has risen by around six percentage points to just below 25%. The cost-income ratio was comparable to the wider banking sector at large. Since 2008, return on equity has been higher than the wider sector (6.3% compared to 5.9%) – and I expect that is not an iron law but an indication that co-operative banks can perhaps behave differently in tough times, when they are needed the most. There are regulatory threats and pressures – some moves to consolidation in countries like Denmark and Germany. Those pressures will be recognised by the wider UK mutual sector of building societies and credit unions – and the fledgling community finance sector too. It is great to see that Nationwide, full of confidence and purpose, has taken up membership of the European Association of Co-operative Banks. There will be a convention of European co-operative banks, large and small, in two weeks time. The key point here is customer owned banking is a good and practical alternative to investor owned banks. The UK Co-operative Bank is something of a hybrid, and was arguably never fully owned directly by its customers, but it has been a trailblazer on ethics for twenty five years and it matters a lot what happens to it next. And however this does now play out, the next chapter of banking in the UK needs to be more mutual, more co-operative rather than less. On Wednesday night after an event of the Cross Party Group on Co-operatives at the Scottish Parliament, sponsored by Scotmid, I was given a masterclass on beer by a former member of the Edinburgh Student Housing Co-op, exploring the set up of a brewery co-operative. 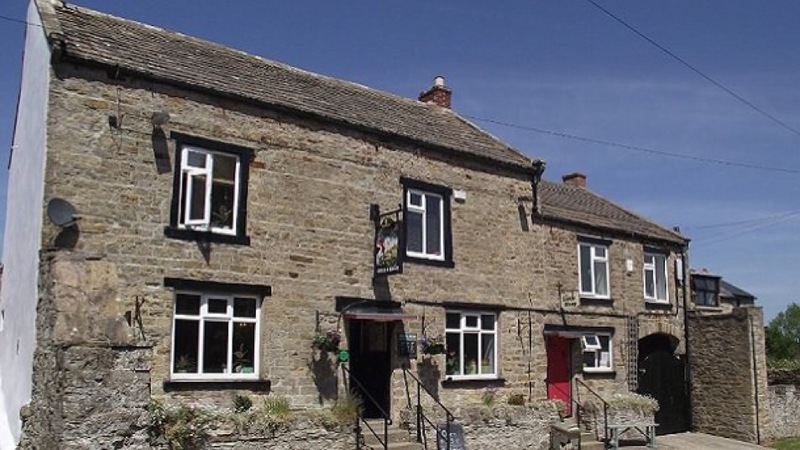 Last night came the wonderful news that our member, George and Dragon Pub in Hudswell, has been voted Pub of the Year by Camra. This was a public house rescued by the public. When the pub was closing, local people came together to buy and run it co-operatively. The confidence they gained acted as a flywheel for community development and new services for the village. The George and Dragon was one of the early and pioneering societies in our Community Shares programme, now operating in partnership with Locality, Power to Change, DTAS, Wales Cooperative Centre, Co-operative Development Scotland, Plunkett Foundation and others – raising member capital to get things going. I was reminded in Edinburgh by Martin Meteyard of an earlier generation of social businesses, combining cooperation and alcohol: the ‘Goths’. The story is that until the early 19th century every Swedish householder had the right to distil their own spirits – and many did. At the time the annual consumption of alcohol was quoted as 7.5 gallons per head! In 1855 a law was passed making domestic distillation illegal and licensing commercial providers. The city of Gothenburg decided to award the retail spirits licences to only one enterprise, run as a trust. The trust aimed to sustain pubs, restaurants and off licences but moderate excess drinking. By controlling the income the town treasury provided libraries, museums, parks and other community facilities. 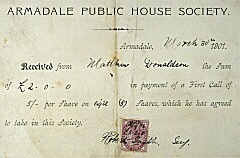 Although the sale of beer and wine were not included in these restrictions, the system proved extremely profitable, providing thousands of Kronor annually for Gothenburg. After spreading through Sweden, temperance campaigners and public house reformers in Scotland promoted the idea of ‘Goths’. The system was applied in various ways in Scotland, although the movement gained its firmest hold in mining communities. Several societies were set up to run public houses according to the Gothenburg system. Some were aided by coal companies. The ‘Goths’ of the mining communities of Kelty and Cowdenbeath in Fife, Newtongrange in Midlothian and East Whitburn in West Lothian are examples. It’s a simple idea – to make public houses public. But it is also a very different way to run a business.